Is fear of trying something new holding you back? Modern Quilts Illustrated #12 is the "Fearless" issue with patterns that celebrate large scale prints, color pairings, craftsmanship, and even in-setting enormous circles. The 5 patterns in this issue are: Inner Circle, Off the Grid, Reclaimed, Regatta, and Bold Proposition. Included in the magazine are links to easy-to-download large scale templates for the circle temples of the Inner Circle quilt. MQI #12 includes additional features on design. 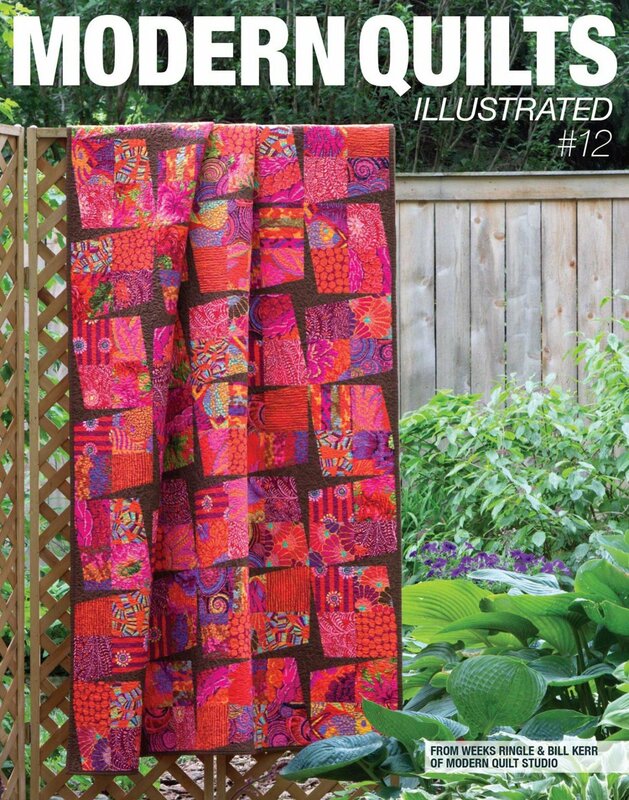 Modern Quilts Illustrated is an advertisement-free publication that takes a colorful and graphic approach to modern quilting. Printed on high quality paper, each issue contains patterns, design inspiration, tips, and techniques.